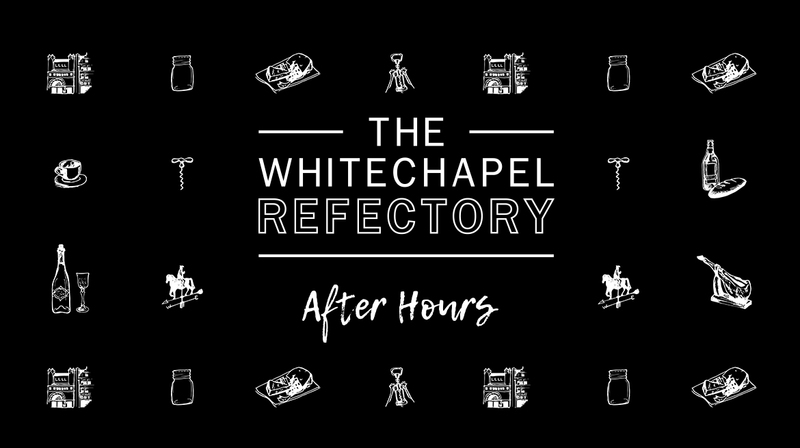 Café by day, wine bar by night, The Whitechapel Refectory is brought to you by Luke Wilson and Cameron Emirali, the duo behind 10 Greek Street. A seasonal daytime menu features a delicious selection of salads, sandwiches and cakes, as well as hot dishes. * Please note our menu changes daily. This is a sample menu. Book a ticket for Is This Tomorrow? 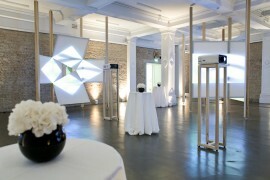 for entry 6pm – 8.30pm on Thursdays and Fridays and get a free drink in The Whitechapel Refectory. Free drinks included in the offer are: glass of red wine, white wine or prosecco, Braybrooke lager, Pressure Drop ale or a soft drink.